It is important for us to reveal unsustainable and economically damaging fishing practices to the broader Belizean public. These posts catalyzed a much needed national dialogue that involves ALL of the country's sectors on what constitutes sustainable fisheries practices and the trajectory of our country's fisheries. Throughout, we have highlighted the need to question unsustainable and illegal fishing practices without focusing on specific fishers. It is clear that Belize needs sustainable fisheries, healthy coral reefs and it needs high $ tourism. Fisheries, food security and tourism are not incompatible. But balance is needed. 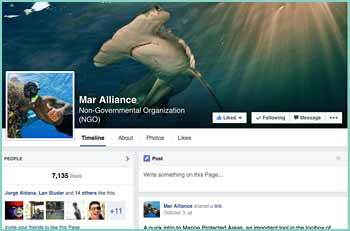 Right now, the balance is heavily skewed towards unsustainable fishing which not only impacts all fishers in Belize but also food security and foreign income earning through tourism, as this is heavily dependent on reefs and reef-associated fauna, notably big finfish and sharks and rays. Basic adjustments to our fisheries and fishing effort will bring greater balance between all parts. We can have our cake and eat it too, we just need to ensure that the slices are fairly and equitably distributed among the sectors. We look forward to engaging with all sectors to build the dialogue, find solutions and help implement action to sustain our big fish and fishers using sustainable fishing techniques. The photo by Tony Rath (thank you Tony! 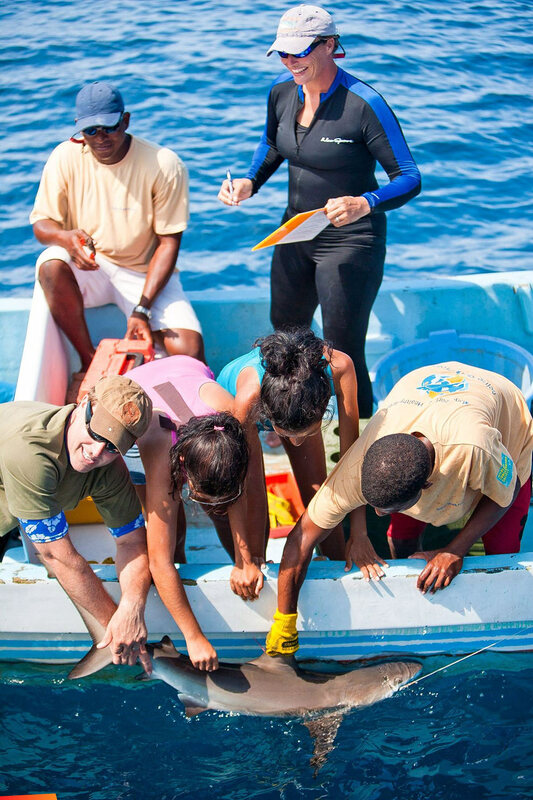 ), shows the MarAlliance crew of fishers and researchers introducing a live shark to University of Belize students for the first time as part of the UB Marine Megafauna monitoring course run by MarAlliance for Belizean students. The students said "Please PLEASE can we touch the shark, can we please touch the shark?" After feeling the skin's dermal denticles and the rigidity of the dorsal fin, they learned to measure and tag the shark and then release it for it to continue its role maintaining ecosystem health and bringing joy and delight to all those snorkelers and divers fortunate enough to see it.